This sweet treat dates back almost 2,000 years to the Mayan people. The Mayans of Central America are believed to be the first to discover cocoa as early as 900 AD. They learned that the beans inside the cocoa pods could be harvested and made into a liquid that would become a treasured Mayan treat. They traded three pods for one pumpkin. It may have been bitter water, but it was held in such high esteem that Mayans called it the “food of the gods.” Cocoa was so revered that images of cocoa pods were painted on the walls of stone temples and Mayan artifacts have been found that show kings and Mayan gods drinking chocolate. Cocoa was often consumed during religious ceremonies and marriage celebrations. All Mayans could enjoy cocoa, regardless of their social status. Cocoa beans were very valuable. The Aztecs used them as money, and were very protective of their beans. They paid for food, clothes, taxes, gifts, and offerings to their gods using cocoa beans. Having a pocket full of beans was like having a wallet full of cash. As far as the Aztecs were concerned, money really did grow on trees. Chocolate arrived in Florida on a Spanish ship in 1641. It’s thought the first American chocolate house opened in Boston in 1682. By 1773, cocoa beans were a major American colony import and chocolate was enjoyed by people of all classes. Chocolate pots became a rage. Unsurprisingly, Benjamin Franklin himself was in on the early American chocolate craze, and even sold chocolate out of his printing shop in Philadelphia. During the Revolutionary War, chocolate was provided to the military as rations and sometimes given to soldiers as payment instead of money. This chocolate came from the West Indies. Because of its caffeine and high calorie content, it was a reliable source of energy for soldiers on the front. Chocolate consumption among Americans dates back to colonial times—George Washington and the Continental Army during the Revolutionary War would have consumed chocolate as a hot beverage, for example. 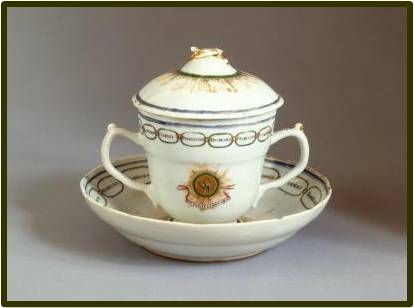 Chocolate cups, like this one owned by George and Martha Washington, were typical of the colonial era. Most chocolate cups had two handles, on opposing sides, while tea cups of the period had no handles at all. Image credit: George Washington’s Mount Vernon. Chocolate was also provided as K rations to soldiers during World War II. In fact, the U.S. War Department collaborated with chocolate manufacturers to produce Ration D bars, especially suitable for extreme temperatures sometimes encountered on the front. A mixture of chocolate, sugar, powdered milk, oat flour, and vitamins provided 600 calories per serving and made a very effective survival food. The Ration D chocolate bar was designed to withstand extreme temperatures and provide substantial energy for troops. Another variant of the Ration D bar was Hershey’s Tropical Bar, used commonly in the Pacific Theater. Studies have shown chocolate contains antioxidants that can reduce the risk of heart disease and lower blood pressure. Chocolate contains many vitamins, minerals, antioxidants and biochemical compounds—all of which help give our body a satisfying health boost. 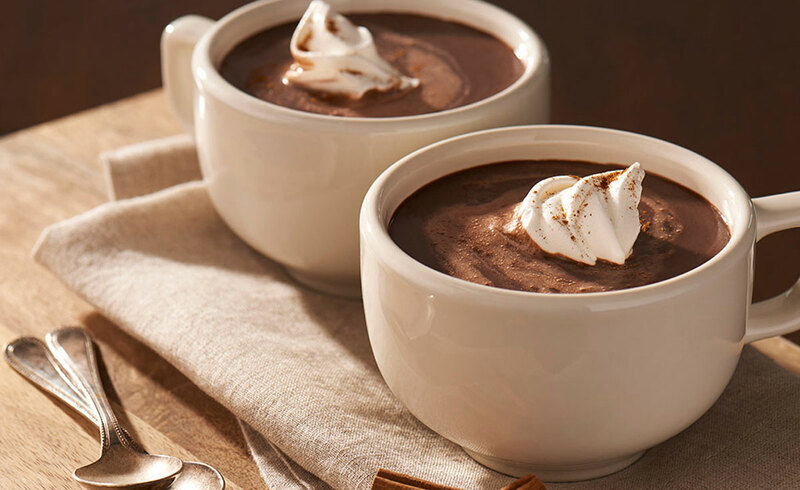 Hot chocolate even increases the microcirculation in your skin. 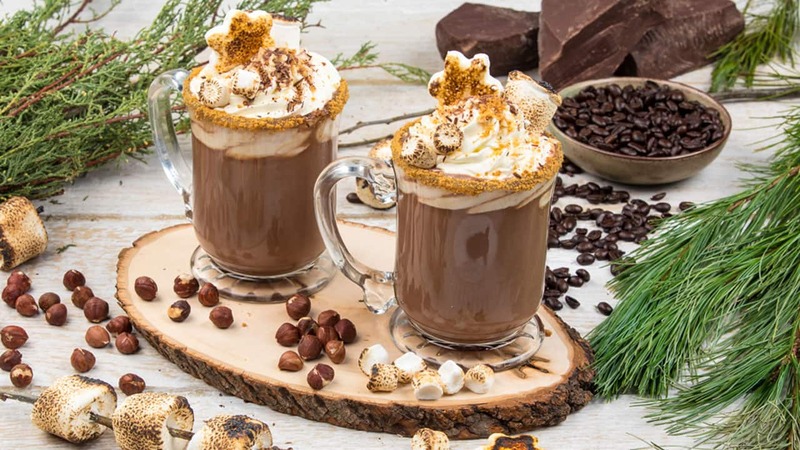 Who knew a hot chocolate obsession could be so good for our health? Also, it’s a mood booster. When we drink hot chocolate, its chemical compounds signal the brain to release endorphins and serotonin, which elicit our feelings of calmness. These neurotransmitters work to reduce pain and stress, keeping us worry-free and happy! Hot chocolate is clearly happiness in a cup. 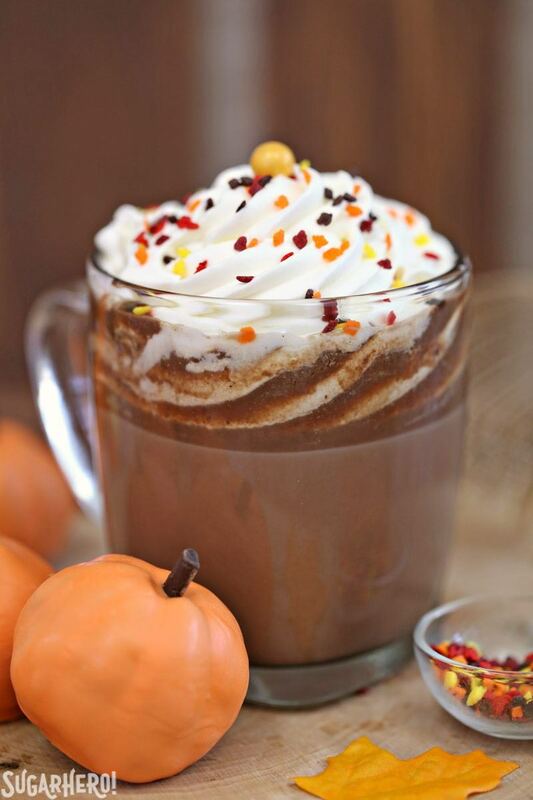 So the decision for today is how many cups of chocolate are needed to celebrate National Hot Chocolate Day. Enjoy! Posted in Uncategorized and tagged American Revolutionary War Museum, Aztecs, Benjamin Franklin, chocolate pot, George Washington, hot chocolate, Mayans, World War II. Bookmark the permalink. 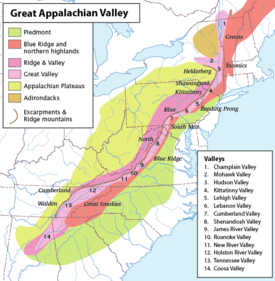 The word Appalachia is an old Indian word, and it means “endless mountain range.” The Cherokee Indians who lived there thought the Appalachian Mountains went on forever and ever. Covering thirteen states today, gazing out the windows of a car or stopping at a look-out site give the same sense of forever to these mountains. Their beauty is breath-taking. Pioneer Ulster Scots and Scots-Irish settled the mountains of Appalachia during the 18th century. 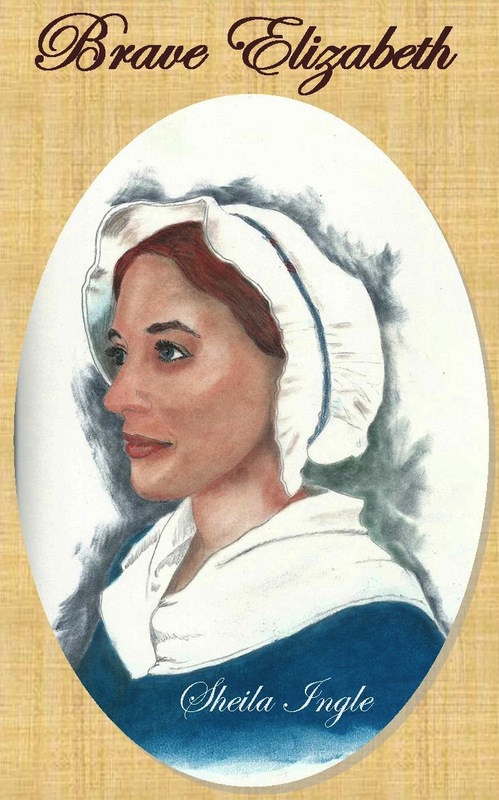 Proudly, they brought their heritage with them, which included an allegiance to family, friends, and faith, the Presbyterian faith. Gravitating to the rocky terrain, so like their homeland of Scotland, they sought new lives. Independent and self-reliant to the core, they also were protective of each other. Their helping hands reached out to kith and kin. Sitting up with the dead, also called a wake, is one of the ways they stuck close to each other. It showed respect for the person and his life. It might have been adopted from the Jewish tradition of sitting with a dead body until burial. Called in Hebrew shemira, which means guarding or watching. Their lives were hard, and a home funeral brought comfort to the bereaved. 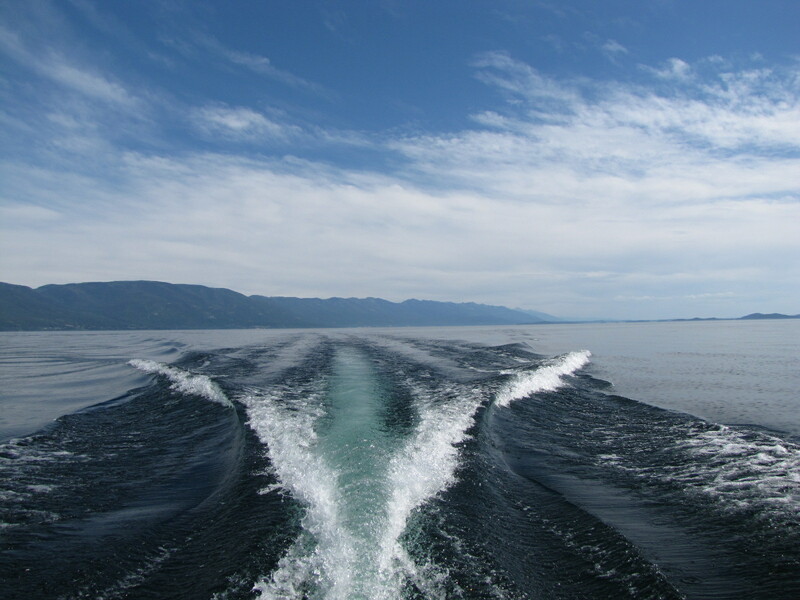 These wakes could last for days, as mourners traveled from many hollers. Generally, the guests paid their respects to the dead, then went into another room for sandwiches, coffee and a long visit. Some pulled up chairs beside the handmade coffin or leaned against the walls. The women in the family prepared the body. It was an open casket, and usually a handmade quilt covered the body, along with flowers and sweet-smelling herbs. The body was dressed in the Sunday-best clothes, which might have been clean overalls and never left alone. 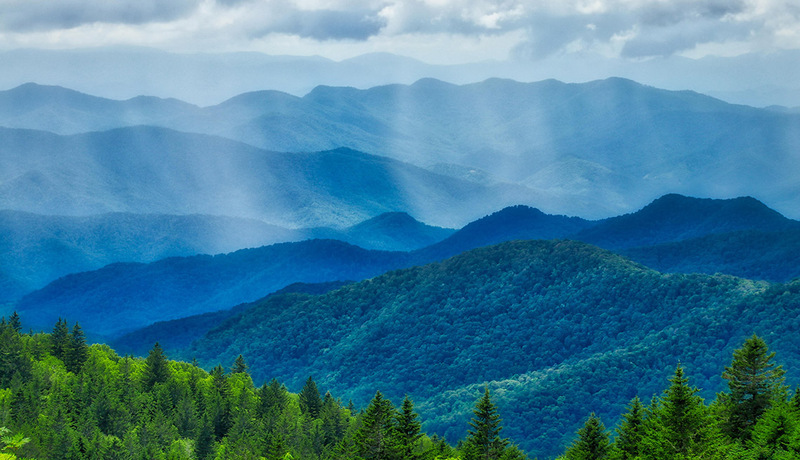 In describing the Appalachian people, John Muir said “You are not in the mountains, the mountains are in you.” When my husband’s family left the mountains of Erwin, Tennessee, to take jobs in the cotton mills of South Carolina, they brought their culture with them. Just like their Appalachian forebearers, wakes were still part of the grieving process into the twentieth century. Oliver Edward Ingle, my husband’s father, passed away on December 6, 1968 at the Wallace Thompson Hospital in Union, South Carolina. Though embalming was the funeral home’s job then to prepare the body, the family still held a wake at his home. In the living room, John and his brothers greeted their father’s siblings, cousins, and neighbors all through the night, while their mother slept sedated, overcome with the shock. They pulled the sofa in front of the fireplace, because it was the only heat in the house, and brought in the solid oak, kitchen chairs for extra seating. The percolator kept them plied with coffee, and the women of Allen Memorial Baptist had filled the table with food. Emotions were high, as the reality of loss crept in the door. There were times during the night that only the sons sat steadily before the fire. These stoic brothers, still in shock from their father’s sudden death that day, passed the night sharing memories, tears, stories, and laughter. 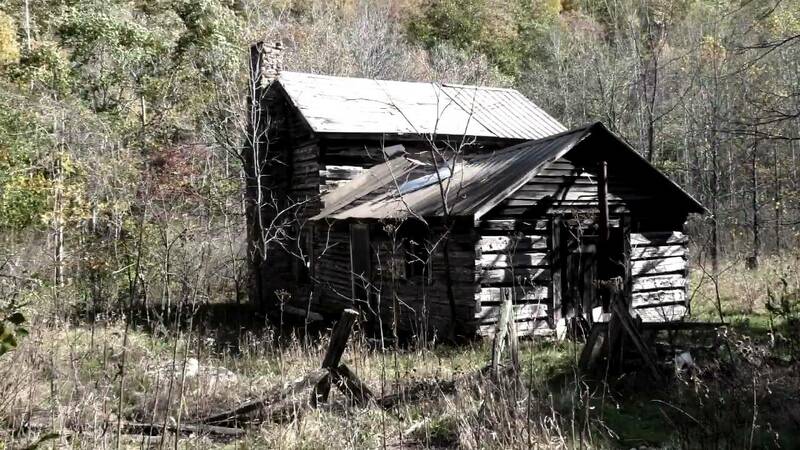 For almost twenty-four hours, Tom, John, Buck, and Jim Ingle kept a vigil in the house their father had built. When a ship moves across the water, it leaves a wake in its path. It is a concrete sign that shows the ship’s passage, and it can be followed. Sometimes it spreads out and touches other ships or a shoreline. At a funeral wake, people talk about how they have been touched by a life, remember stories about the person, and even think about how different life will be without that person. Sharing these memories affirms a life and what has been left in his wake. And even though we can’t see them anymore, we won’t and can’t forget. As Navy veterans, the Ingle sons celebrated the wake of their father’s life that night and into the days that followed. 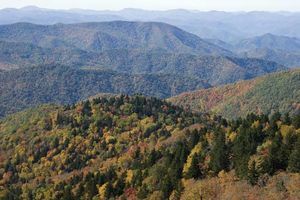 Posted in Uncategorized and tagged Appalachia, Appalachian mountains, Hebrew "shemira", Indian word, Philippians 1:3, Scots-Irish Presbyterians, Ulster Scots, Union SC, wake. Bookmark the permalink. On Saturday, December 15, 2018 at 12:00 PM, Wreaths Across America was at Buck Creek Baptist Church Cemetery to Remember and Honor veterans through the laying of Remembrance wreaths on the graves of our country’s fallen heroes and the act of saying the name of each and every veteran aloud. Fifty wreaths were placed on all the veteran graves at this cemetery. The American Legion is the nation’s largest organization of US wartime veterans. Post 48 in Chesnee, SC was chartered in 1936, and this is the third year they have sponsored a Wreaths Across America ceremony. They plan to continue this tradition. Chesnee High School JROTC posted and retired the colors. Two young women and two young men were in the color guard, and the guidon was one of the girls. Her voice carried through the audience, as she directed their movements. All eyes were on the flags. Hats and caps were removed. Right hands were placed over hearts. Most stood straight and tall as the marchers moved to their places. After the group’s singing of the “Star Spangled Banner,” people formed a line to pick up a wreath. Then the walk began to the appointed spot. Five members of the Daniel Morgan Chapter, President John Hoyle, Clark Smith, Mike Rock, Colby Alexander, and my husband John Ingle were there to place a wreath on Revolutionary War veteran, James Turner Sr. Representing the Kate Barry Chapter in Spartanburg, I joined them. Born in Virginia in 1753, James Turner served one hundred thirty-four days in the South Carolina militia during 1779, 1781 and 1782 under Capt. Turner and Col. Winn. After the fall of Charleston, he was under Col. Brandon. Like his father, James Turner was also one of the 2500 men listed has having served with the “Swamp Fox,” General Francis Marion. After the war, he bought land and settled near the Pacolet River. Being part of this ceremony was memorable. Even though a misty rain fell during most of the time, no one left. It was an honor to be there to remember our veterans. In 2017, with the help of thousands of corporate/civic sponsors and volunteers, over 1,5000,000 wreaths were donated and placed at over 1400 participating cemeteries. I wonder how many there were yesterday? Let’s choose not to forget those who have fought for the freedom of our country. Posted in Uncategorized and tagged American Legion Post 48, Buck Creek Baptist Chruch, Chesnee HS JROTC, Daniel Morgan Chapter NSSAR, James Turner Sr., Kate Barry Chapter NSDAR, Revolutionary War, Rondal Reagan, veterans. Bookmark the permalink. The converted Ancient Mariner is concerned about how Christians live and challenges the readers to love our neighbors as ourselves. In one of my favorite Christmas books, A Christmas Carol, Charles Dickens paints the character of Scrooge as one who has lost the ability to love, but is converted on Christmas Eve. 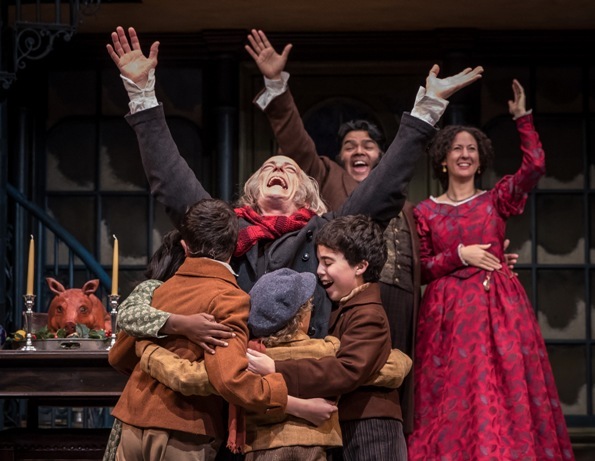 Scrooge’s covetousness takes a 180 degree shift to compassion and generosity. 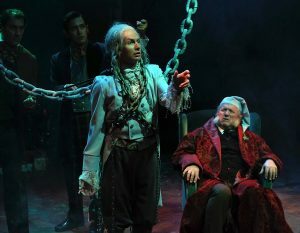 Jacob Marley’s Ghost is only the beginning of a one-night journey that topples Scrooge to his knees. And what a story it is! Ebenezer Scrooge is the epitome of a selfish, money-grubbing miser. Scrooge and his dead partner Marley value money above all else. They have no love or care for anyone, and their stories are a warning to others that might choose their paths. 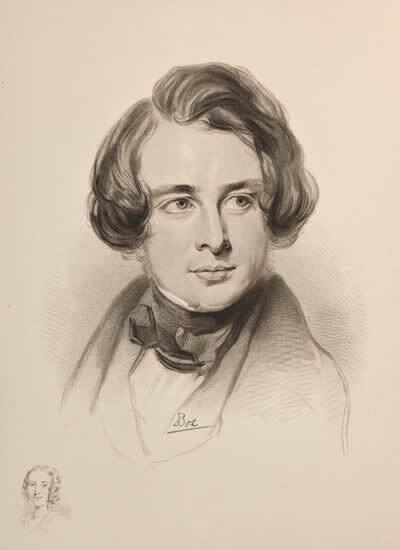 Dickens’ challenge is to honor the spirit of Christmas all year long. There are quite a few movie versions of A Christmas Carol, and I look forward to watching them all. 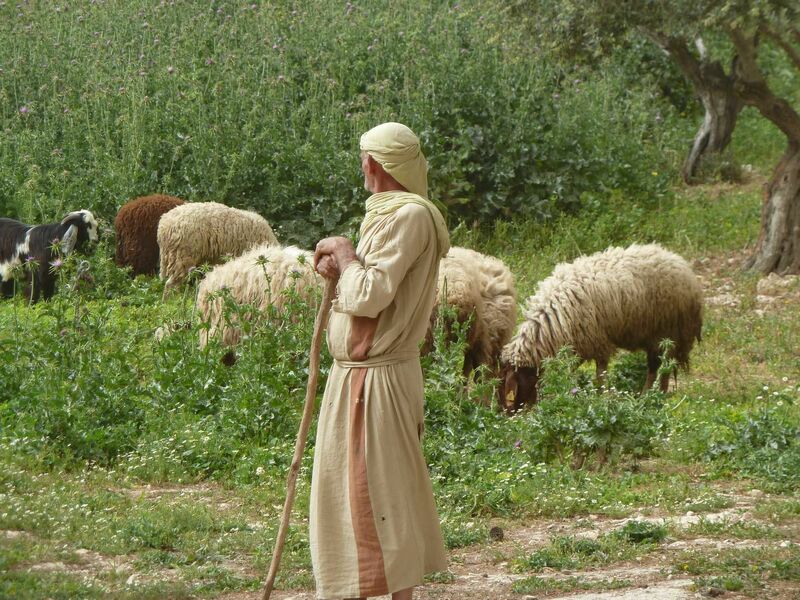 This parable challenges and reminds me to keep my eyes open and not turned inward. Perhaps it also speaks to you. What a privilege it has been to serve as the board chair of Children’s Cancer Partners of the Carolinas for the past two years. Our mission is to stand in the gap for families who have children diagnosed with cancer, as we help them with getting their children to treatment centers and doctor visits and other family needs to survive this dreaded diagnosis. A group of actors was going town-to-town through the Austrian Alps in 1818. They made their way to Oberndorf, a village near Salzburg. On December 23, they were to perform the story of the first Christmas at a small church called the Church of St. Nicholas. The church organ was broken. Some say mice had invaded it; others put the malfunction to rust. But the organ could not be repaired before Christmas. So the actors presented their play in a home. Assistant Pastor Josef Mohr was captured once again by the miracles of the story, as he watched the play. He took the long path toward home and ended up on a hill looking over the village. The snow-covered landscape brought to his mind a poem he had written a couple of years before. It was about the angels announcing the birth of Jesus to the shepherds. Then the pastor thought about putting the words to music for his congregation. The next day Mohr went to see his friend, the church organist Franz Xaver Gruber, and asked him to compose a melody to compliment the poem. By that evening, the words of the poem had been put to music played by a guitar. Above is Mohr’s guitar, now in the Waggerl Museum set up a permanent exhibit — Joseph Mohr – Vicar of Wagrain. In Austria, Stille Nacht is considered a national treasure. Traditionally, the song may not be played publicly before Christmas Eve. There was always food-a-plenty on my mother’s table on Thanksgiving. Traditional dishes and family favorites vied for the attention of the hungry troop that went through her buffet line. Our grandparents were there, as well as Aunt Mamie. 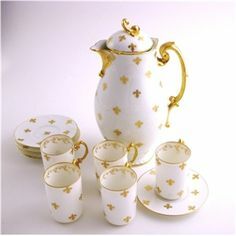 Daddy’s blessing was much longer than his daily one, and the “good” china and silver graced the dining room table. All day we focused on each other and spending time together. Family stories were shared again, and each one of us had our own spot at the table. Mine was to Daddy’s right. I can picture that table and my family; it is a good, good memory. During the month of September in England, English churches celebrated the Harvest Home. There would be a thanksgiving service held in the church when parishioners would bring the bounty of their harvests. 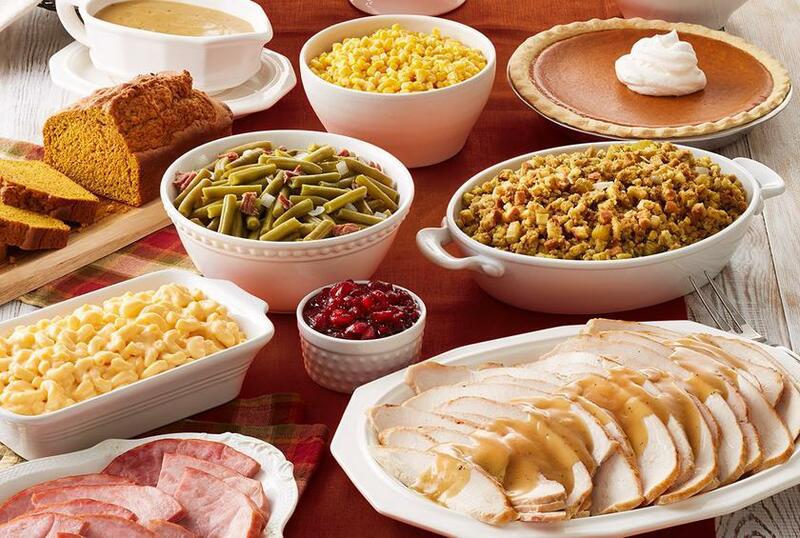 A display of pumpkins, autumn leaves, and the food be the decoration, and then the bounty was given to the needy. It was all about the gratitude for the provision of God, just like the Pilgrims celebrated in 1621. Henry Alford and George J. Elvey wrote this hymn wa in rural England in the mid-nineteenth century, when the life of the village during the winter depended on the bounty of the autumn harvest. While the first stanza of this hymn rejoices over the harvest, the last three stanzas expound on the reminder this image gives of the Parable of the Wheat and the Weeds in Matthew 13. The hymn concludes with a prayer that the final harvest at His Second Coming would happen soon. President Franklin D. Roosevelt described this truly American holiday. Listen to the majesty and gratitude of the Mormon Tabernacle Choir singing this hymn. Posted in Uncategorized and tagged Franklin D. Roosevelt, Mormon Tabernacle Choir, Thanksgiving hymn, Ye Thankful People Come. Bookmark the permalink.